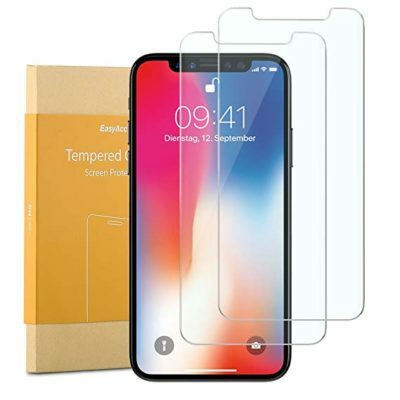 Tempered glass protector is made of chemical processed glass which has excellent window display, high sensitivity and comfortable touch feeling. 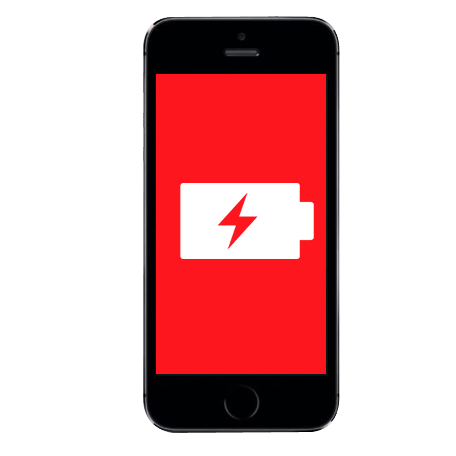 It’s created to protect your iPhone screen and it’s chemically hardened for maximum strength. 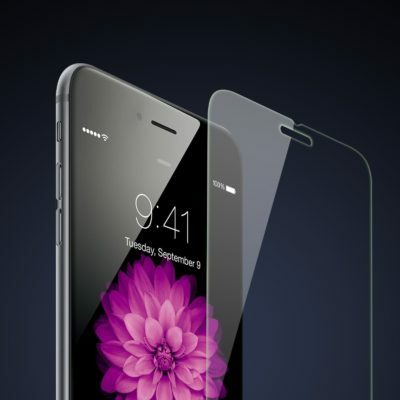 Crystal Clear: ultra-thin-0.25mm thickness is reliable and resilient. Ultra-clear High Definition with 99.9% transparency to allow an optimal, natural viewing experience. Safety First: highly durable, and scratch resistant – surface with extremely high hardness 9H (harder than a knife). Shatter-proof membrane ensures glass sticks together, even if broken. 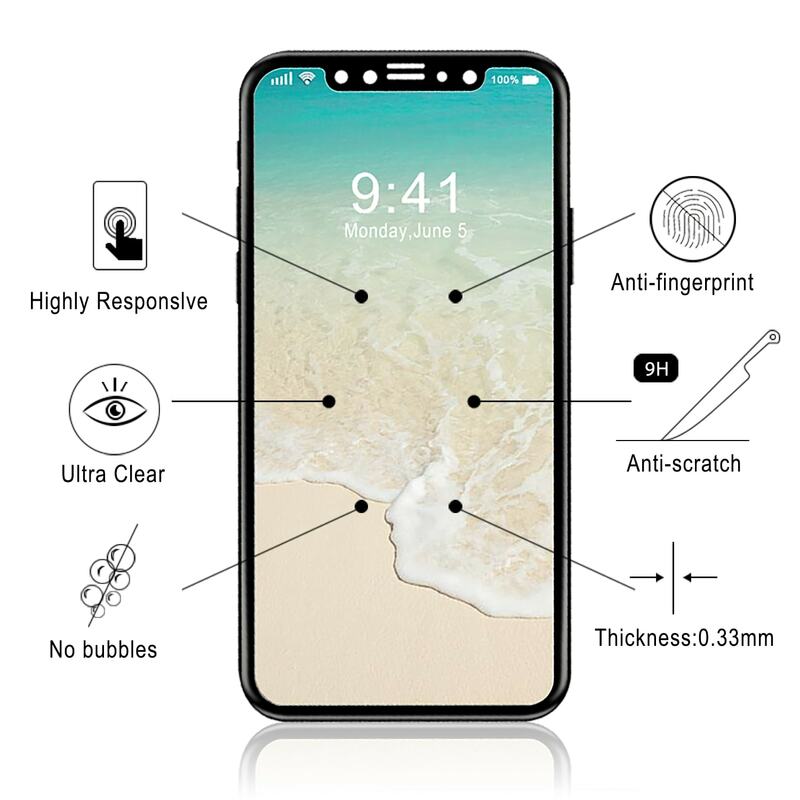 Powerful function: Tempered glass protects your iPhone against sweat and oil residue from fingerprints. Shock absorbent and scratch proof make sure it’s durable for your iPhone.